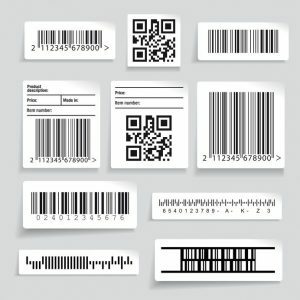 Countless businesses and corporations rely on the durability and performance of Zebra wax, Zebra resin and Zebra wax/resin ribbons for their barcode and/or labeling systems, and at Tri-State Business Systems, we have all of the Zebra printing and labeling products you could need to customize a truly personalized solution. The most common and affordable ribbons are Zebra wax ribbons. These ribbons are ideal for printing on semi-gloss and matt labels and tags, and they are used in countless applications and industries. Corporations across the US use wax ribbons for address, shipping, mailing, inventory, product, price and warehouse labels, but they do have some limitations when it comes to smudging when used with the wrong paper, label or tag type or in more extreme conditions. A bit more expensive than wax ribbons, wax/resin ribbons are more commonly used on semi-gloss and synthetic labels and tags. By combining both wax and resin, you are able to keep costs down while ensuring your labels and tags will have a long life and be resistant to smudges and smears. Resin ribbons are the most costly ribbon option, but they are optimal for those needing scratch and chemical resistance. Zebra resin ribbons are used mostly on synthetic labels and tags, and they are ideal for labels that will be exposed to chemicals, moisture, abrasion, extreme temperatures, and more. At Tri-State Business Systems, we offer one-of-a-kind solutions for businesses of nearly any size. We can customize an entire label or barcode system and/or provide you with all of the barcoding and labeling supplies you need to streamline your business. We gladly serve businesses in Bradley Gardens, Neshanic, Millstone, Blackwells Mills, Montgomery and the neighboring cities, so contact us today to request quotes on Zebra wax, wax/resin or resin ribbons or speak to us about any of your other barcode or labeling needs.